I am based in Whitstable, Kent and have 40 years of experience in leatherworking as a hobby during which I have developed my own style with unique patterns and carvings to decorate leather items. The patterns and carvings are created on natural, vegetable tanned leather, which is then hand dyed and finished with a lacquer. Please use the menu on the left to navigate around the site and see all of the items. 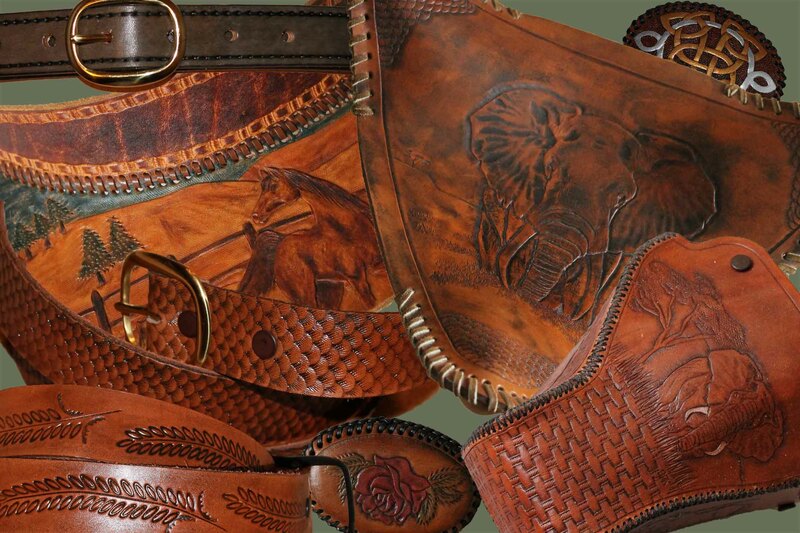 Please note: all of the patterns and carvings on the tooled leather are designed and hand crafted by myself, they are not pressed into the leather by machine.